X Rx Blog | Surviving the invisible pandemic. Nothing herein should be construed as medical advice. My last blog, The Myth Of Vaccine Safety, has spread far and wide. I’ve received many thank you’s from parents who were on the fence and looking for information to support what they feel in their guts. I’ve received concerned mail from unvaccinated adults and their mothers asking what they should do now. I’ve heard from doctors also, who realize that they are failing their patients. I’ve gotten thoughtful mail from people on both sides of the divide. Expressing my concern has caused me to be introduced to many vaccine awareness educators. They are all veterans. Some have been fighting for decades. They mostly have painful personal experiences with vaccine injured children. They trusted their doctors and their children were harmed. They are now informed and want others to know what they have learned. Their motives are pure. It is not an anti-vax movement, but an anti vaccine injury movement. One has to wonder, why this enormous orchestrated response to a not uncommon event? There have been measles outbreaks every year except for 2000. What’s different about this one? Could it have something to do with the impending testimony of William Thompson and the Merck vaccine lawsuits hitting all at once? It’s a good time to spread propaganda. Whipping up fear is good for preserving the myth that our vaccine program makes sense. The media is completely controlled with respect to the controversy. If one were relying on mainstream media for information, you wouldn’t know about the challenges to the integrity and safety of the MMR and other vaccines. You would still be in the comfortable place of believing that the folks at the CDC care about children and know what they are doing. Actually, they do know what they are doing, selling out, even if they are lying to themselves that this is somehow for the greater good. Or maybe it’s a distraction from recent embarrassments concerning the handling of the Ebola scare and other mishaps, demonstrating an internal problem with both decision making and infection containment. Report: CDC may have exposed a lab worker to Ebola Dec 12, 2014. Our children are sicker than they have ever been. The American Academy of Pediatrics has failed to protect them. Epidemiologists should be hanging their heads in shame. The vaccine program is failing, due to the toxicity of the formulations and the waning immunocompetence of the population at large. It will only get worse. Millions and millions of parents are questioning what to do, what is safest for their children. It is a very emotional issue with much rational fear, whatever choice is made. It is a parent’s duty to protect their child, over and above the society, especially given the pre-apocalyptic feel of the times we live in. It sure is clear that the media is controlled. Overtones of Orwell’s 1984, or maybe 1933 Germany. Publish the addresses of unvaccinated children on the internet. Jail their parents. Take them away and put them in homes where the parents respect the corporatocracy we live in. Take the licenses of doctors who validate parental concern. After all, what are all these kooks worried about? There were only 434,636 cases of adverse reactions to vaccines reported on VAERS (Vaccine Adverse Event Reporting System) between 1990 and 2014, which is what, maybe 10% of the real number? But the media says everyone knows vaccines are perfectly safe. So what do we do? What would a sane vaccine program look like? What would you do, if you were appointed vaccine tzar? Here are some obvious ones. For starters, our government agencies, CDC, FDA, NIH need to be purged of scientists with ties to industry. The corruption needs to stop. Until that happens, we have enough evidence to know that anything they say is suspect. They need to regain our trust. Vaccine court needs to close, so the pharmaceutical industry is forced to take responsibility for their crappy products. The 7th amendment guarantees a jury trial to all American plaintiffs in civil cases exceeding $25 in value. Doctors need to be liable for negligence also, and if tort reform is required for settlement caps, that should happen. Pharmaceutical companies need to be accountable for fraud, including criminal charges against responsible individuals when harm has occurred, all the way to the top of the food chain. Government scientists who commit fraud also need to go to jail for their crimes. Aluminum adjuvants have to go or be drastically reduced in size of dose at once and number of doses total. The combined amount of aluminum a child receives at one time and over the course of the first 6 years with the current products and schedule is far too high. It is probably safe for a baby to receive 5 mcg/kg/day and currently, it is possible to give a sanctioned 1200 mcg dose. Aluminum and glyphosate (Round Up) act synergistically to do harm, so Round Up has to go, for the greater good. We must learn from our history. There is good evidence that environmental toxins, especially DDT, made polio more likely to cause damage. Here is an excellent article on the subject. The Age of Polio: How an Old Virus and New Toxins Triggered a Man-Made Epidemic. The rest of what I’m going to say is meant to start a conversation. I am not going to attempt to reference, because this is an opinion piece and single sentences could be the subjects of whole blogs. It is for discussion only. These are my thoughts at this moment. It is an enormous subject with a steep learning curve. I’m reading widely and trying to think beyond an all or nothing approach. Would that the people responsible were having this discussion in an honest way that truly was about public health instead of money. I do want to preface the following remarks by saying that I know very brilliant people who have been studying the history of vaccines for a long time and they disagree with what I’m about to say, with very compelling arguments of their own. Probably everybody on both sides of the controversy will be mad at me by the time they finish this blog;-). I could have easily written a very convincing blog about how there is no such thing as a safe vaccine. The whole idea is based on a faulty premise, that generating antibodies is all there is to immunity. To get this impermanent vaccine induced immunity, a child’s body has to tolerate adjuvants, animal and human cells, foreign DNA contaminants and adventitious viruses. Here is the Vaccine Excipient & Media Summary again. That is a very bad trade off in the case of diseases that are most often benign or that the individual may never encounter. In the case of the childhood viral illnesses of yesteryear, they may have even filled an important roll in priming the immune system. Also, everyone is always talking about herd immunity. Well what about the health of the herd? We have used vaccines and other medical technologies to prevent the herd from being culled, with a consequent reduction in general health. If I were making the decision now, I would never allow my new baby to be vaccinated. I think that is the safest thing at this moment to help a healthy baby stay healthy, but I do see problems in the future. Right now, unvaccinated children are fairly protected, because the population is still highly vaccinated. 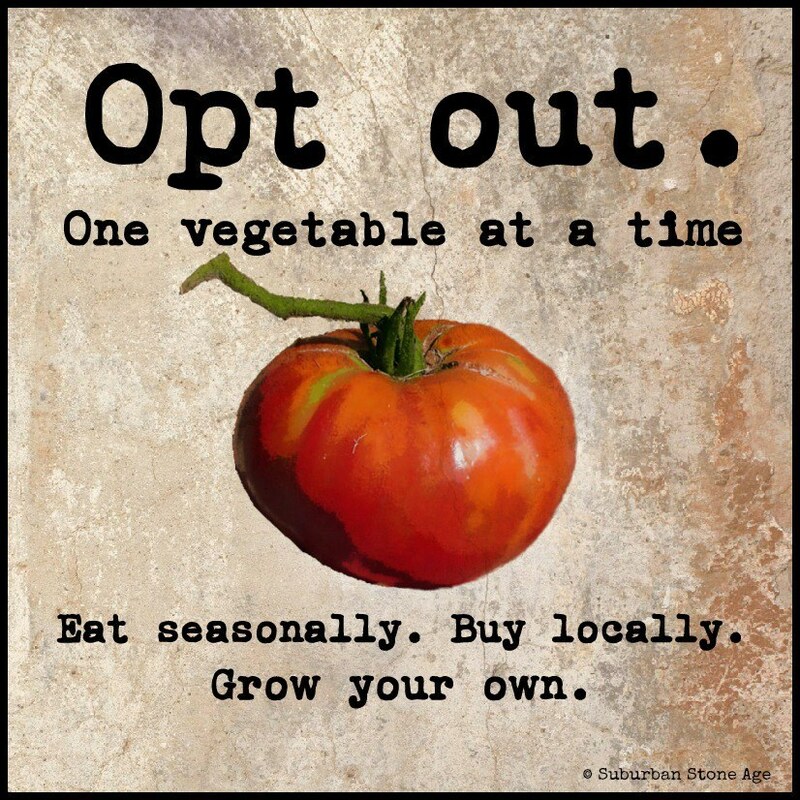 But over time, more and more families will opt out and more adults will be susceptible. Poor children will be forced to endure the full schedule, but Americans are stubborn and don’t like to be told what to do. Already many pockets of intellectualism have schools where fewer than half the children are vaccinated. The handwriting is on the wall, if it is educated parents who aren’t buying it. At some point, the diseases are going to come back with a vengeance. These diseases were terrible when introduced to disease naive populations. That may be what we are looking at when they return. We have two generations of people that are disease naive, except for exposure to the attenuated viruses. Over half of them have a chronic illness already. 20% of the patients from the Disneyland outbreak were hospitalized, rather than the historical figure of 10%, though that may have been about doctors being unfamiliar with the disease. The later this happens, the more it will hit adults and the elderly and it will happen to a population that is increasingly immune dysfunctional. If I had unvaccinated children, I would be trying to figure out how to let them catch mumps, rubella and chicken pox. The literature suggests that there is a benefit to having these viral infections in childhood. Childhood mumps may protect against ovarian cancer (Mumps and ovarian cancer: modern interpretation of an historic association), exposure to chicken pox after initial childhood infection protects against shingles and measles infection protects against allergic illnesses (Allergic disease and atopic sensitization in children in relation to measles vaccination and measles infection). The live vaccines may confer some of the same benefits, but most likely not as strongly and there are many problems with live vaccines, including persistent shedding of infectious virus. Thinking about the origins of the first live virus vaccines is beyond disturbing, in light of what we now know about retroviruses and other adventitious viruses. Some of the original strains are still being used. We are all a product of our own experiences. My father was a pediatrician and, in the 1950’s, he was afraid of polio and measles. I remember vividly how excited he was to give me the first oral polio vaccine on a sugar cube. In my memory, I was 5 or 6, so late 50’s. His office was attached to our house and to expose me to the usual childhood illness, he would call me in to kiss a sick patient. In the case of measles, he gave me a gamma globulin shot at the same time, so that I would get “modified measles”. I actually remember him telling me that without it, measles could hurt my brain or hearing. I don’t think he said it could kill me, but he knew that was also a possibility, however unlikely. I actually still have enough faith in the possibilities of modern medicine to believe that safer, cleaner vaccines could be made, if our best and brightest put their heads together, acknowledging the problems with the current products. We have the technology. Maybe it is just wishful thinking on my part, but if we gave very few, very clean vaccines to only perfectly healthy children from low risk families, perhaps we could hold our gains with the most dangerous diseases, polio and measles. These diseases are absent or uncommon now in the developed world, so children could be vaccinated later, say at age 3 or 4, when the highest risk of autism is past, as long as the population remains highly immunized for the diseases we decide are worth targeting. All other vaccines should be optional, for each person to decide with a knowledgeable doctor who obtains proper informed consent for a medical procedure that carries some risk. Vaccinating almost every child for the sake of eradicating a few diseases hasn’t worked and many people have been harmed. Children need to be stratified by risk. One size does not fit all. Trying to vaccinate all adults to provide true herd immunity for these diseases would be a disaster of immense proportions, but that is what your government has in store for you: National Adult Immunization Program Feb 5, 2015. They’ll have to tie me down. Here are the current bloated vaccine schedules: Birth to 18 years and Adults. Once you let go of the idea that these shots are good for you, these schedules are pretty disturbing. The risk, benefit considerations for vaccines against bacterial pathogens are different. Childhood viral illnesses are the subject of the current debate, but it is worth noting that vaccine failure is much higher with bacterial diseases, because the bugs adapt and colonize the vaccinated person, making them more likely to spread the disease. Acellular pertussis vaccines protect against disease but fail to prevent infection and transmission in a nonhuman primate model. Another important consideration not being talked about much with all the worrying about unvaccinated children being little typhoid Marys, but viral shedding by vaccinated children is dangerous for immunocompromised people, children and adults. Make sure you take a look at: The Emerging Risks of Live Virus & Virus Vectored Vaccines: Vaccine Strain Virus Infection, Shedding & Transmission. In our new, safer vaccination program, it would be better to forgo the use of live vaccines completely, if possible, as we decided to do in this country in 2000, when we switched to inactivated polio vaccine, since the only cases of polio were coming from the vaccine. The live virus vaccine is still being given in the 3rd world. India has an epidemic of Acute Flaccid Paralysis just as they are being declared polio-free: The Vaccine Myth of “Polio-free” Status – Polio Vaccine Caused 53,000 Paralysis Victims in India Last Year. Unfortunately for two generations of vaccinated people, they are dependent on more vaccines to keep these diseases at bay. As usual, the pharmaceutical companies sold everybody a bill of goods, creating lifelong customers. Healthy unvaccinated adults whose mothers hoped they would get the diseases in childhood will have tough choices to make going forward. Everyone should be demanding safer, cleaner, single vaccines. There are over 300 vaccines currently in the pipeline. How many will be mandated? It is big money. It is shaping up to be quite a fight. In Japan, the MMR was banned in 1993, due to excessive complications, 1 in 900 children had adverse reactions. Instead they chose to give measles, mumps and rubella vaccines singly. In the US, there is no single measles vaccine. That might be a good choice for some people right now. Why is that not a choice? Maybe instead of the attenuated rubella vaccine in the MMR, young girls should be offered an exposure to wild type virus, preferably in the form of a kiss. A few days ago, The Washington Post published an op-ed piece by a medical ethicist who thinks that all doctors who have concerns about vaccines should lose their licenses. Last week, it was parents who don’t vaccinate their children should be jailed or sued. There are case reports where not vaccinating has been used as proof of neglect for CPS to remove children and terminate parental rights. Whatever you think about vaccination, think hard before you endorse the idea that the government should be able to mandate a profitable but invasive medical procedure without informed consent. This is a very dangerous precedent to set and one you may not be happy about when vaccines are mandated for adults to protect our “herd immunity”. It is not about the measles. It is about your freedom to choose what goes into your body and your child’s body. Although we keep hearing from the media and the medical establishment that vaccines are unquestionably safe, the supreme court has deemed them “unavoidably unsafe” as recently as 2011. Pharmaceutical companies are indemnified by the government against liability and pediatricians also cannot be sued for vaccine injury. Rather, there is a special vaccine court that compensates the very few patients who can prove their injury beyond a shadow of a doubt. The National Vaccine Injury Compensation Program has paid out over 3 billion dollars to date. We keep hearing about the overwhelming proof that vaccines and the MMR in particular is safe. Anyone who questions this is being ridiculed. Concerned parents are stupid and concerned doctors don’t understand the science. Well, here is the science, from the most recent Cochrane Review of the entire literature on the subject. Cochrane Reviews are systematic reviews and meta-analyses which interpret the research and are generally recognised as the highest standard in evidence-based health care. Cochrane Database Syst Rev. 2012 Feb 15;2:CD004407. doi: 10.1002/14651858.CD004407.pub3. Demicheli V1, Rivetti A, Debalini MG, Di Pietrantonj C.
Mumps, measles and rubella (MMR) are serious diseases that can lead to potentially fatal illness, disability and death. However, public debate over the safety of the trivalent MMR vaccine and the resultant drop in vaccination coverage in several countries persists, despite its almost universal use and accepted effectiveness. To assess the effectiveness and adverse effects associated with the MMR vaccine in children up to 15 years of age. For this update we searched the Cochrane Central Register of Controlled Trials (CENTRAL) (The Cochrane Library 2011, Issue 2), which includes the Cochrane Acute Respiratory Infections Group’s Specialised Register, PubMed (July 2004 to May week 2, 2011) and Embase.com (July 2004 to May 2011). The design and reporting of safety outcomes in MMR vaccine studies, both pre- and post-marketing, are largely inadequate. The evidence of adverse events following immunisation with the MMR vaccine cannot be separated from its role in preventing the target diseases. The full paper is behind a paywall, but I’ve read it in its entirety. The authors screened approximately 5000 papers, found 139 possible for inclusion and ended up with 31 papers that met their criteria. They rated 26 of 31 as having high or moderate risk of bias, most commonly selection bias. They concluded that there was no data to support efficacy, “We were disappointed by our inability to identify effectiveness studies with population or clinical outcomes. Given the existence of documented elimination of targeted diseases in large population by means of mass immunisation campaigns however, we have no reason to doubt the effectiveness of MMR.” So we believe it, because we all saw it happen, not because there is a study which shows it to be true. They state that there is no evidence for an association between MMR and autism, but the only included study which could possibly answer the question, comparing vaccinated to unvaccinated children, is Madsen 2002. One of the co-authors of that paper is Poul Thorsen, on the OIG’s most wanted list for fraud. Thorsen is a co-author of 22 papers on autism and 5 papers on vaccine safety that still stand and are widely referenced by other authors. Even if including a paper co-authored by Thorsen doesn’t bother you, their note on the Madsen study concludes: “The follow up of diagnostic records ends one year (31 Dec 1999) after the last day of admission to the cohort. Because of the length of time from birth to diagnosis, it becomes increasingly unlikely that those born later in the cohort could have a diagnosis.” They noted the general absence of studies with unvaccinated controls. The reason given is that it would be unethical to have unvaccinated controls. DeStefano 2004 is also included. One of the authors of that paper was reportedly granted official whistleblower status and immunity, alleging that the authors manipulated data to cover an association between the vaccine and autism in African American males vaccinated before the age of 36 months. Those authors are collectively responsible for a lot of the “indisputable” science we are hearing so much about. From a few months ago: The Fox Guarding The Henhouse. Here is a compilation of abstracts, 86 Research Papers Supporting the Vaccine/Autism Link, but the media keeps telling us there is no evidence that vaccines can cause autism. Why has there never been a well designed study comparing vaccinated to unvaccinated children? Rumor has it that Amish children don’t get autism. Why isn’t the CDC doing everything it can to figure out if that’s true and, if so, why? The NIH just canceled the National Children’s Study after wasting over 1.2 billion dollars. Vaccines have not been a cause célèbre for me. 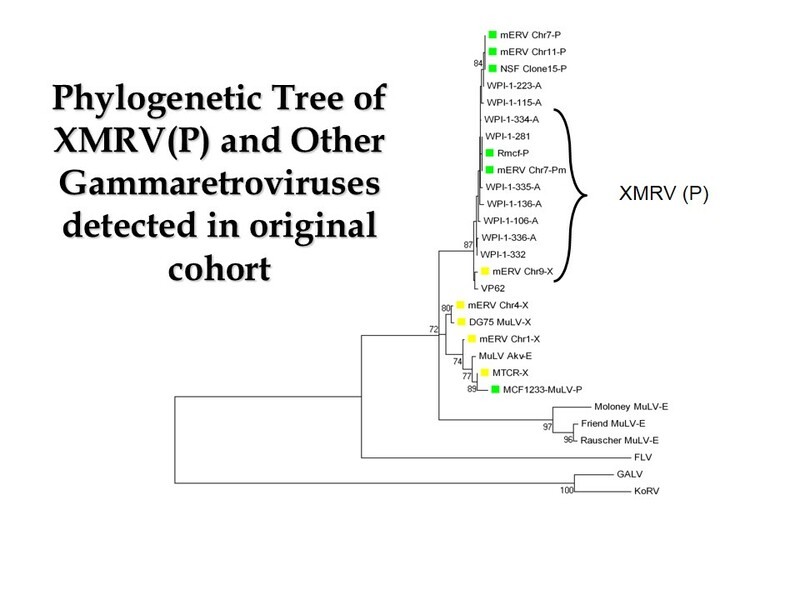 My interest grew from the realization that vaccines grown in murine and avian cells contain infectious animal retroviruses that are supposed to be unable to cross the species barrier, but the evidence that they can’t is rather flimsy. Here are blogs I wrote about vaccines and biologicals in early 2011 when I was considering the risks of attenuating viruses in animal cells and realizing the temporal relationship between the first yellow fever vaccine in 1932 and the first ME/CFS cluster in 1934, as well as the first cases of autism described by Leo Kanner in 1935. This led to thinking about how vaccines are made, what exactly is in them, the evidence for safety/efficacy and their possible impact upon various immune profiles. The furthest I have ever gone as a doctor is to say that I don’t think that ME/CFS patients or their offspring should be vaccinated. I don’t think I’ve ever explicitly said publicly that autistic children shouldn’t be vaccinated, but I will now, as it seems a no brainer to me, even if you don’t believe that vaccines can cause autism. Neuroimmune disease patients are in a state of persistent immune activation which needs to be reduced with anti-inflammatory strategies. Vaccines do the opposite, on purpose. In addition, they are less likely to be effective in the presence of a preexisting inflammatory state. The argument goes, thimerosal was removed from vaccines 10 years ago (except for the multi-dose vial flu shot), but the rate of autism has continued to climb, so vaccines are safe. This is scientific sleight of hand, not science. It is the type of argument used commonly by our so called experts to brainwash people into concluding that vaccines are all safe and any number of vaccines can be given with impunity. We ruled out one thing, so it’s all fine. Data by country shows a strong correlation between more vaccines before the age of 1 year and higher infant mortality. The US is 34th in the world and gives the most vaccinations: Infant mortality rates regressed against number of vaccine doses routinely given: Is there a biochemical or synergistic toxicity? The US childhood immunization schedule requires 26 vaccine doses for infants aged less than 1 year, the most in the world, yet 33 nations have better IMRs. Using linear regression, the immunization schedules of these 34 nations were examined and a correlation coefficient of 0.70 (p < 0.0001) was found between IMRs and the number of vaccine doses routinely given to infants. When nations were grouped into five different vaccine dose ranges (12–14, 15–17, 18–20, 21–23, and 24–26), 98.3% of the total variance in IMR was explained by the unweighted linear regression model. These findings demonstrate a counter-intuitive relationship: nations that require more vaccine doses tend to have higher infant mortality rates. Chronic fatigue syndrome and fibromyalgia following immunization with the hepatitis B vaccine: another angle of the ‘autoimmune (auto-inflammatory) syndrome induced by adjuvants’ (ASIA). The common immunogenic etiology of chronic fatigue syndrome: from infections to vaccines via adjuvants to the ASIA syndrome. From the CDC website: “In the decade before 1963 when a vaccine became available, nearly all children got measles by the time they were 15 years of age. It is estimated 3 to 4 million people in the United States were infected each year. Also each year an estimated 400 to 500 people died, 48,000 were hospitalized, and 4,000 suffered encephalitis (swelling of the brain) from measles.” That’s roughly a 0.1% risk of encephalitis and there is a great deal of literature showing that high dose vitamin A at the onset of illness mitigates that risk significantly. The most recent numbers show that the current risk of autism, aka encephalitis/encephalopathy, is 20 times that, higher in some places. We are faced with an epidemic of allergic, neuroimmune and autoimmune disorders. The prevalence of chronic illness in our children is greater than 50% (2011). 16% have a developmental disability (2008). 11% have ADHD (2011). 2% have autism (2013). It is an emergency. Measles is not. I am not saying that vaccines are the only cause of this disaster, but there are many reasons to think they are contributory. Instead of mandating more vaccines, we should be trying to understand which children are at risk: Personalized vaccines: the emerging field of vaccinomics. Being concerned about vaccines is not the same as discounting the dangers of infectious diseases. Not trusting the CDC and the pharmaceutical companies is not anti-science, but prudent, since they have earned our mistrust in spades. They have lied and been wrong so many times. Why believe them now? The drug companies regularly pay out billion dollar settlements for fraud convictions. Merck is currently embroiled in lawsuits brought by whistleblowers: Massive Fraud In Merck MMR Vaccine Testing. The incestuous relationship between the CDC and the vaccine manufacturers is epitomized by Julie Gerberding, former director of the CDC, now head of vaccine safety at Merck. There are a few egregious examples that make it clear how little the vaccine program is worrying about the health of children. 1. Giving newborns who have no risk of infection a hepatitis B shot is insane. The series often wears off by the time the child is at risk. Here is a paper showing evidence of an association between the hepatitis B series and autism: Hepatitis B vaccination of male neonates and autism diagnosis, NHIS 1997-2002. Findings suggest that U.S. male neonates vaccinated with the hepatitis B vaccine prior to 1999 (from vaccination record) had a threefold higher risk for parental report of autism diagnosis compared to boys not vaccinated as neonates during that same time period. Nonwhite boys bore a greater risk. 2. Chicken pox was a benign illness when contracted in childhood. This vaccine is another example of setting people up for waning immunity when they are older. Also shingles used to be prevented by being around infected children, but now a zoster vaccine is needed for older adults to keep the virus in check, even if they had the natural infection. The attenuated virus can cause shingles just like the wild type. The incidence of shingles has risen since the vaccine was introduced, in children and adults, though there is data suggesting this trend was already in effect from reduced immune competence in the general population prior to introduction of the vaccine. Decreased varicella and increased herpes zoster incidence at a sentinel medical deputising service in a setting of increasing varicella vaccine coverage in Victoria, Australia, 1998 to 2012. Here is a paper stating that the Varicella vaccination program is a failure. Review of the United States universal varicella vaccination program: Herpes zoster incidence rates, cost-effectiveness, and vaccine efficacy based primarily on the Antelope Valley Varicella Active Surveillance Project data. Safety data for the Varicella vaccine is even thinner than for the MMR and the excipients are particularly noxious. if we are going to decrease the number of vaccines we give to our children, this one might be a good place to start. Every adult who was vaccinated will need boosters for life, but if we let the wild type disease come back in children, we might also get rid of the need for the zoster vaccine. 3. Your government wants you to have a flu shot, even though it admits that this year’s shot doesn’t work. The current CDC recommendation is “Everyone 6 months of age and older should get a flu vaccine every season.” Pregnant women, sick people, no matter the health status of the patient. Only people allergic to the shot or one of its components shouldn’t get it. Even this year, everybody should get it, because gosh, so much money was spent making all those millions of shots and who knows, they might help a little. And they are perfectly safe, except that they can cause wheezing, Guillain Barré Syndrome and have not been studied in immunocompromised persons. There are several choices for the flu shot, but here’s an example of the safety data. The FluMist package insert: “Data on safety and shedding of vaccine virus after administration of FluMist in immunocompromised persons are limited to 173 persons with HIV infection and 10 mild to moderately immunocompromised children and adolescents with cancer.” 10 immunocompromised children. How many doses went up the noses of children with preexisting conditions? And then there is this: Live Attenuated Influenza Vaccine Enhances Colonization of Streptococcus pneumoniae and Staphylococcus aureus in Mice. The people making these decisions don’t care about your children. They are lying to you about the quality or even the existence of safety data. I am the last one to say that the question of whether to vaccinate or not is a simple one. I delayed vaccinating my children until they were 3 months old and I didn’t give them hepatitis B shots until later. They had the chicken pox at 5 years and 6 months old, so my son may not be immune. I allowed them to be given hepatitis B shots at school when my daughter was 9 and my son was 4. He got very sick after the first dose, missed school for 2 months and I never allowed him to be vaccinated again. He lived in a dorm at college for 2 years and not a day went by that I didn’t worry about the decision to forgo the meningococcal vaccine. He is now doing research in Okinawa for a semester and I worry about Japanese encephalitis, for which there is a vaccine. But he has a mother and a sister with ME/CFS, a father with POTS and other things in his risk profile that worry me with respect to vaccines. Without a crystal ball, you can never know what is the safest thing to do. If you guess wrong, either way, it is 100%.